A clear designer monogram is brought to another level on this frosted ice invitation. The etched look, along with creative type layout, makes this ensemble an instant classic. 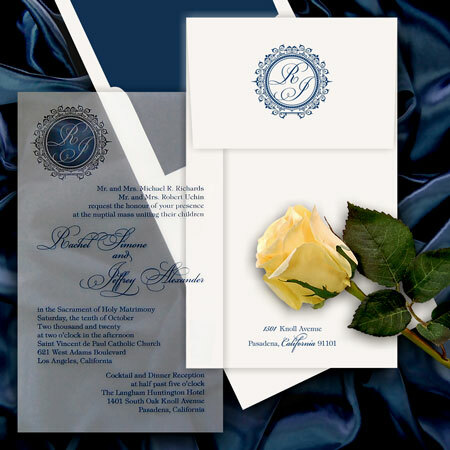 The white linen envelope is lined with D-indigo.